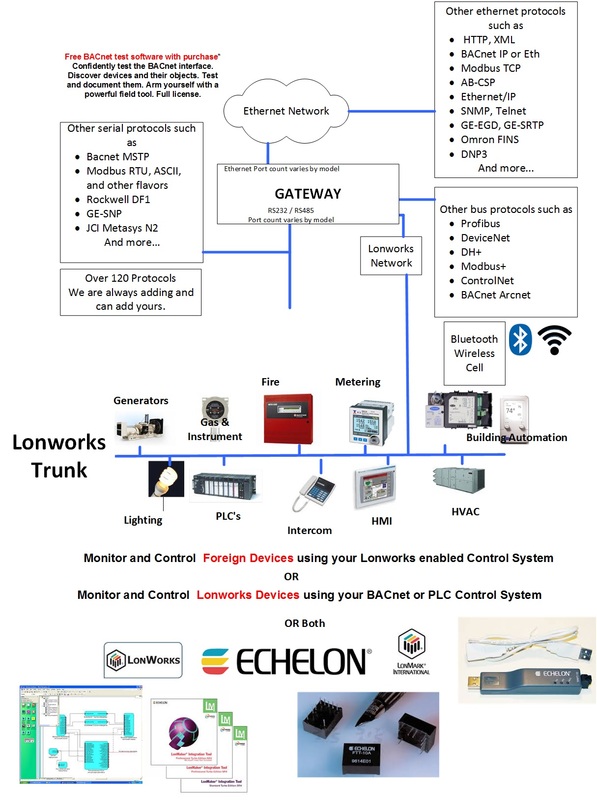 A FieldServer protocol gateway that provides data exchange between LonWorks and RussElectric Model 2000. The Serial Russelectric Model 2000 driver allows the FieldServer to transfer data to and from devices over either RS-232 or RS-485 using RTU protocol. 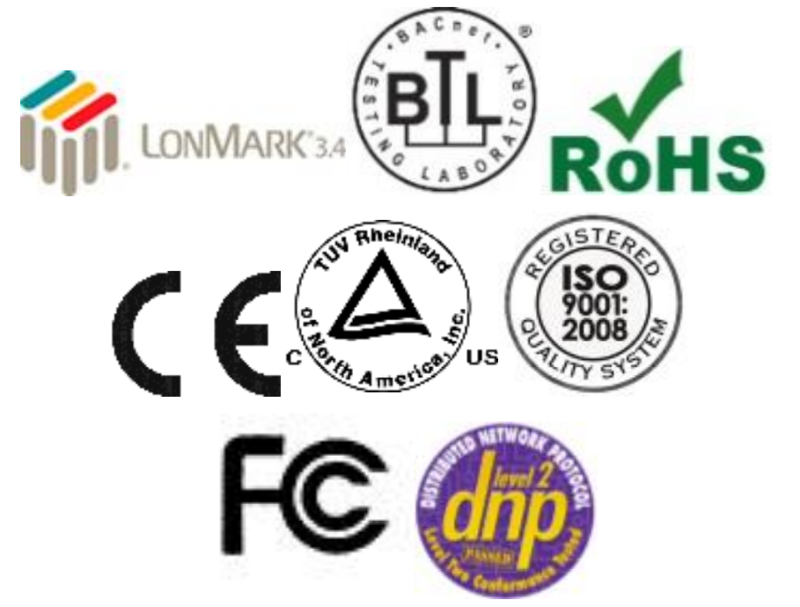 The Serial RussElectric Model 2000 driver allows the FieldServer to transfer data to and from devices over either RS-232 or RS-485 using RTU protocol. 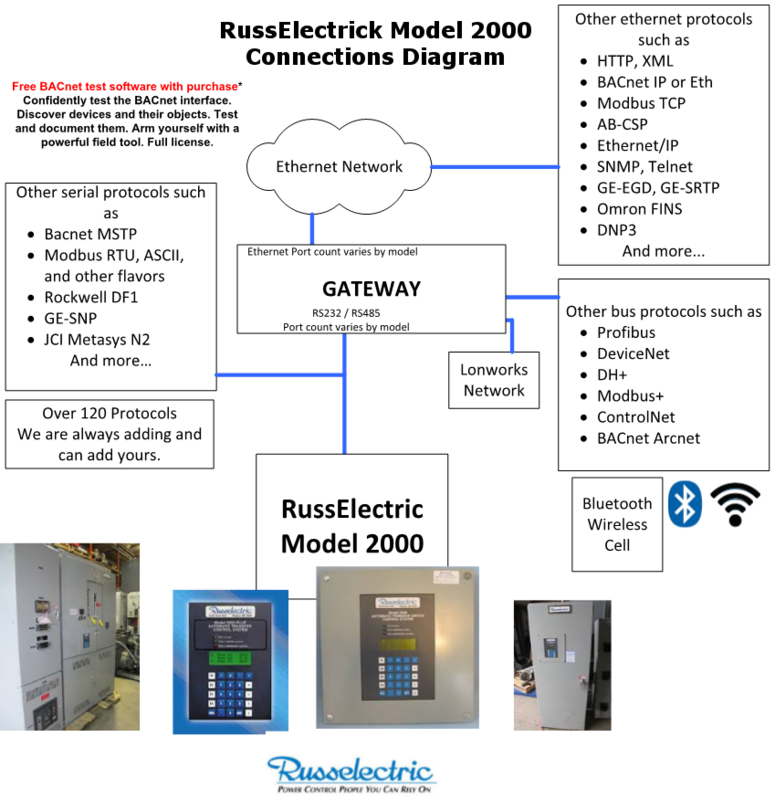 The RussElectric Model 2000 drivers implement a Model 2000 Client and a Model 2000 Server. 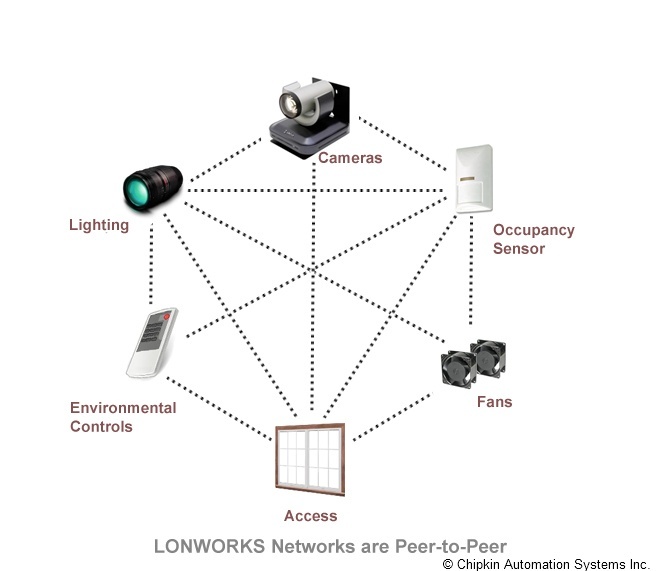 The Client driver can read data from a remote Server and send write data commands. The Server driver emulates a Model 2000 device and responds to data read and write poll commands.